It’s been an interesting week for nationalism in Northern Ireland: with the real sense that something is happening which hasn’t happened before. A coming together is, perhaps, the best way of describing it. More important, a coming together which has a very specific purpose and agenda: and that purpose is Irish unity. Brexit may be the hook upon which the coming together is hung, but unity is the end purpose. #Think 32, one of the key organisers behind Saturday’s conference – Beyond Brexit: The Future of Ireland – describes itself as a ‘grassroots, cross-community and non party political movement ... to promote and encourage a debate on the reunification of Ireland’. Professor Colin Harvey got one of the biggest cheers of the day when he said: “We will not apologise – and we will not be seeking permission – for seeking to get rid of the border in Ireland and seeking to unite our own country.” A mixture of other speakers from SF, SDLP, Fianna Fail, Fine Gael and ‘civic nationalist’ backgrounds gave us variations on the same theme. And, for good measure, Mary Lou McDonald, having done her keynote speech on a border poll, dashed off to Louth for a photo-opportunity of her knocking down a pretend wall. The very fact that somewhere between 1,500 and 2,000 people turned up for an event which was only announced a few weeks ago; and that the audience included just about every manifestation of nationalism north and south of the border was a remarkable achievement. The sort of achievement which should certainly make political/electoral unionism sit up and take note. I know there has been criticism about the absence of unionists, particularly those who were in the Remain camp during the referendum campaign; that said, I’m not sure what their role would have been. Sharing concerns about the consequence of a hard deal or no deal is not the same as looking towards Irish unity as an alternative. Professor Jim Dornan may come from what one of the organisers described as a ‘unionist heritage’ background, but it would be a monumental error to assume his views are representative of unionism generally. I’m not blaming nationalists for doing what they’re doing. I would be doing the same thing in their shoes; which is, playing the ‘England’s misfortune is Ireland’s opportunity’ card. But it does raise a broader and much more important question: has nationalism moved beyond an internal settlement in Northern Ireland? Much was made of the necessity to protect the Good Friday Agreement, but there was barely any mention of the need for unionists and nationalists to continue to work together in Northern Ireland – even from the speakers representing Fianna Fail and Fine Gael. And the voices of ‘civic nationalism’ (and like ‘civic unionism’ I’m not entirely sure what or whom the term embraces) weren’t prioritising the need to work with their unionist counterparts, either. The organisers and overwhelming majority of those attending the conference don’t actually give a stuff about winning over unionists like me – the sort of unionist who cannot conceive of a circumstance in which Irish unity is something I could vote for. Fair enough: I don’t criticise them for that. 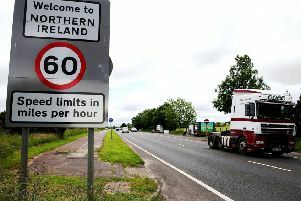 Their attention is focused on those – and the demographic does exist, although it’s difficult to gauge the numbers involved – who are described as soft or economic unionists – who might, at this particular moment and in response to Brexit, listen to the case for Irish unity. Which explains why a border poll, as soon as possible, is top of the agenda for the conference organisers. Again, I don’t criticise them for that. So, while I do have some sympathy for the criticisms levelled at the conference from various elements within unionism, I would advise them to move beyond mere, predictable, knee-jerk criticism. The conference organisers are doing what the pro-Union community should be doing; examining circumstances and preparing options. In September 2012, at a dinner celebrating the centenary of the Ulster Covenant, Peter Robinson spoke of the need to bring together the broadest possible swathe of the pro-Union community to prepare for the celebration of Northern Ireland’s centenary in 2021. It was a good suggestion, one which I endorsed. That was almost seven years ago and I don’t know if the project ever got off the ground; although I do know that the DUP is working on what seems to be a more narrowly based project. But the very fact that the SDLP and FF are trying to create an all-island political/electoral vehicle – and again, they mentioned Brexit as one of the main reasons behind their thinking – is indicative, I think, of the shift within nationalism. When Colum Eastwood became leader he emphasised the importance of ‘making NI work’. He was also keen to build a relationship with the UUP in which they could construct an ‘alternative to the DUP/SF axis.’ That project, that thinking is now dead. A few years before Brexit, I wrote, ‘...we are heading towards permanent numbers games polarisation here. Us-and-Them: that’s all that will matter.” Even if there is, which I think there will be, a soft Brexit, there will be no shifting away from that permanent umbers game.